Honeybourne Homes is a building contractor who specialises in creating new bespoke homes in both contemporary and traditional styles. Many of their homes overlook the beautiful Yorkshire countryside and are built and/or refurbished to a very high standard. This project in Easingwold was to demolish an existing property and build a brand new contemporary home with 5 bedrooms, kitchen diner, living room, garage and snug above the garage. Carl Massey, Director of Honeybourne Homes is an existing customer of ARP and Carl always contacts his local Area Sales Manager – Andrew Redshaw for his aluminium roofline and rainwater products. 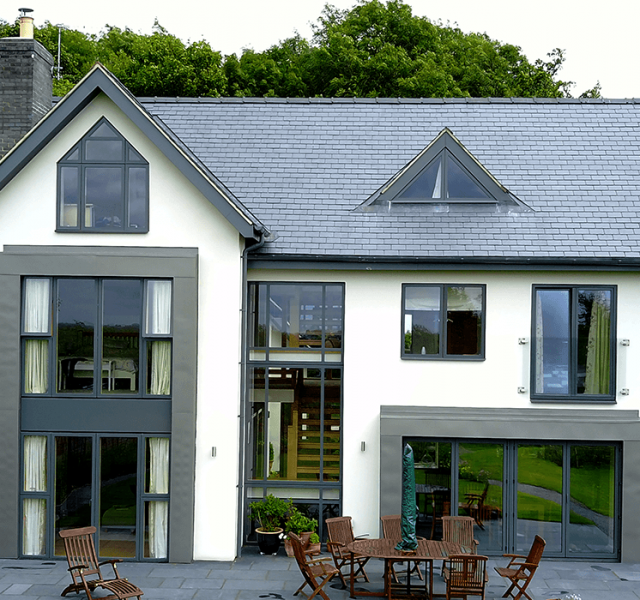 The architect specified that aluminium should be used for the rainwater and roofline system and we provided samples of our products and colour swatches for the architect to inspect and approve. By choosing aluminium over plastic it gave the specifier access to a massive range of polyester powder coating colours which helped to emphasise the architectural elements of the building. 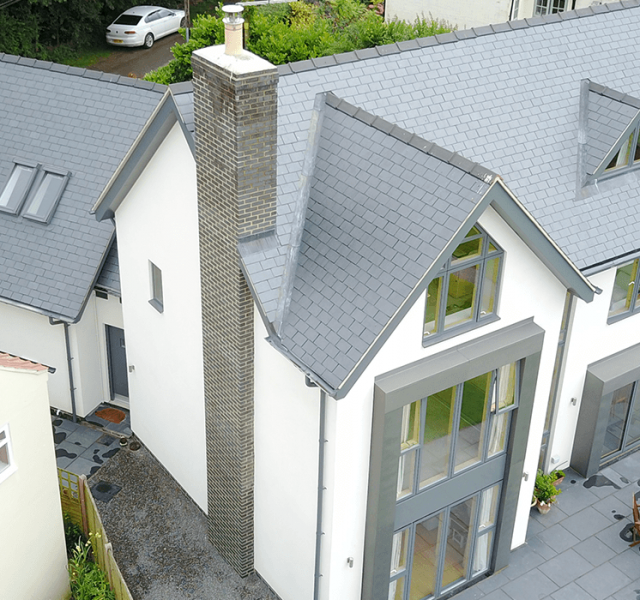 The basalt grey colour used in this property contrasted with the pearly white render perfectly and gave a finished contemporary look that is in keeping with the rest of the property. 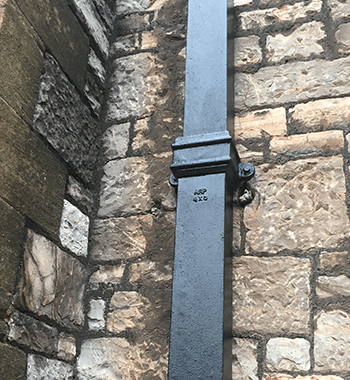 Our Area Sales Manager, Andrew Redshaw was on hand at all stages of the project for site measures, quotations, samples, drawing sign-offs and delivery to ensure that the client and developer were happy with the progress and the finished product. Carl said, “ARP provided unstinting attention to detail no matter how many site visits were required to produce the final product”. 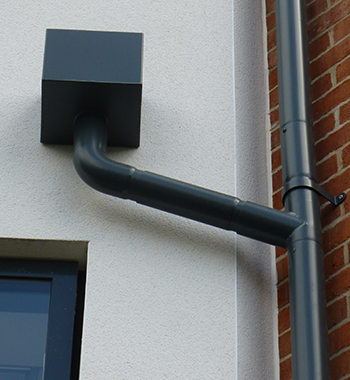 The products specified for the rainwater system were Sentinel half round gutter and Colonnade circular downpipes. 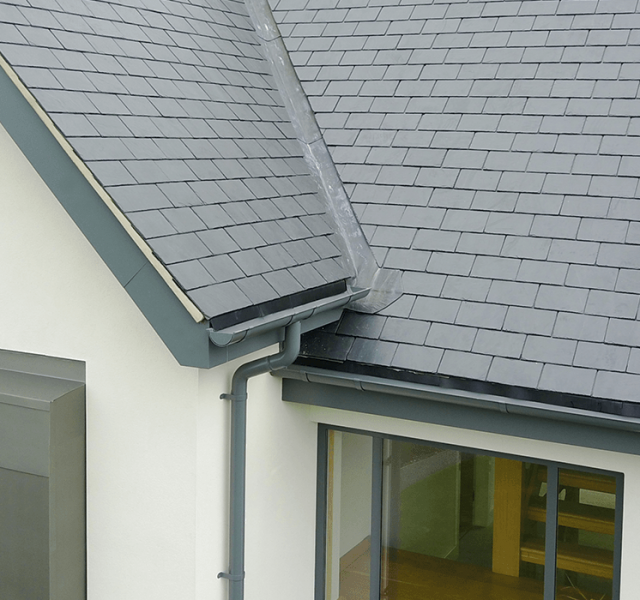 For the roofline ARP’s Trueline bespoke fascia and soffit were specified, made to measure to the exact dimensions of the building and polyester powder coated within our in-house PPC facility to the basalt grey RAL 7012 as specified by the architect. 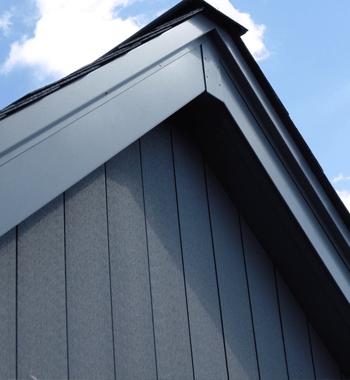 Aluminium is an ideal material for adding architectural finishes to buildings, as it is strong, can be easily formed into a variety of profiles and helps to extend a buildings serviceable life. Aluminium is a low maintenance, non-corrosive, non-combustible, fully recyclable, and expected to last in excess of 60 years. 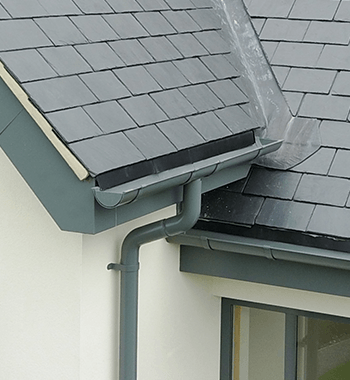 ARP pride themselves in offering a quality solution for all your roofline and rainwater challenges and as this project shows, we will work with you to fulfil your requirements. Give us a call today.